Interesting rare flyer of one of Angus Maclise's performances at the Filmaker's Cinematheque December 65 - just after leaving the VU. Great futuristic design! [Maclise, Angus] Filmmakers Cinematheque [Don Snyder, Ralph Metzner, Allen Neff, Diane Rebuffo]. 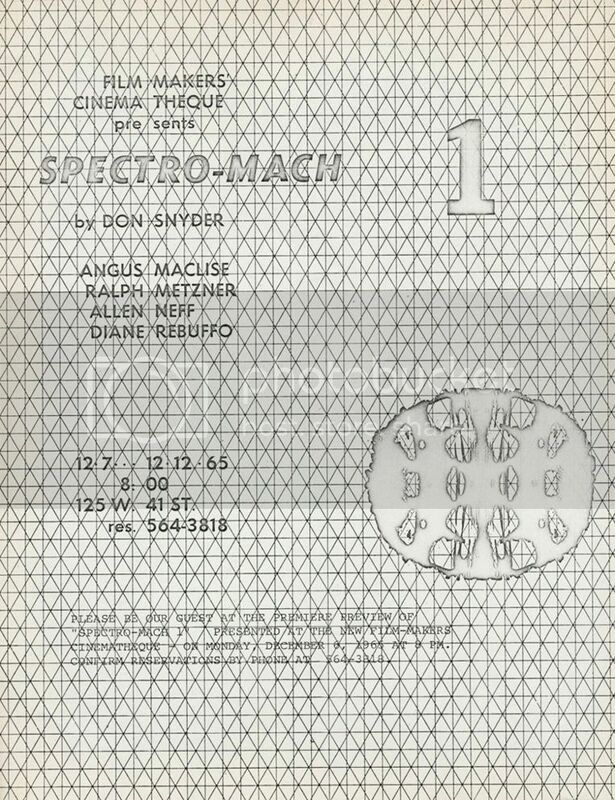 Filmmakers' Cinematheque Presents Spectro-Mach 1. New York: Filmmaker's Cinematheque, 1965. 8 1/2 x 11" sheet of white paper stock printed in black, reproducing a droplet stain design on a grid background. Original flier this multi-media event by the Filmmaker's Cinematheque, which had begun the year previous. The address given is 125 W. 41 st., the location of the now sadly demolished Wurlitzer building, the basement of which was the headquarters of the Cinematheque. 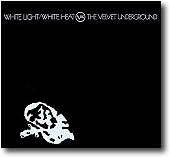 The present event occurred just after Maclise's departure from the Velvet Underground. bleach wrote: Interesting rare flyer of one of Angus Maclise's performances at the Filmaker's Cinematheque December 65 - just after leaving the VU. Great futuristic design! It has a distinct 50s/60s sci-fi futuristic feel, right down to the "SPECTRO-MACH 1" reference. Thought it was quite reasonable $76.55 for such an interesting flyer. I've never really understood why the stock singles are so much rarer than the promos; if as a record company you are going to the trouble of making some stock singles, why not actually press up a proper amount? What is the point of seemingly only releasing a few...?